We have our own means transport, which allows us to deliver NOXy® anywhere in the country. Our goal is to provide our customers with the highest level of service. 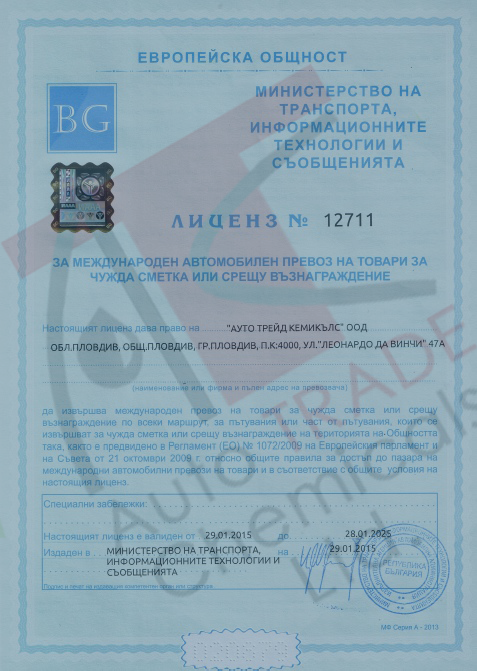 Auto Trade Construction Ltd. holds a license for international road haulage and develops transport activities within the European Union. We have specialized AdBlue® tank trucks, semi-trailer trucks, board trucks and cargo vans.